Andy is a real family man, with core values based around work ethic, honesty, professionalism and trust. His successful work record exemplifies these values. 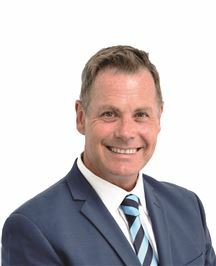 With over 20 years previously working in the motor trade industry in all areas of Sales and Management, he has built a reputation and passion for service, delivering stunning results for his clients achieved through superb marketing and negotiation skills. With his motivation and total commitment Andy continues to rank himself among the elite level within the industry. With a fresh appeal, single minded focus and determination along with leading edge technology and a great team. Andy and his family have certainly made all the right moves for all the right reasons. New Zealand Top 100 2016/2017 Wellington Top 10 2016/2017 New Zealand Top 100 2015/2016 Wellington Top 10 2015/2016 “From that initial encounter with Andy you are left with the lasting impression of an extremely well organised, focused and very intelligent, no nonsense individual” "A trusted, respected professional with an enviable reputation, who understands the challenge of bringing people and property together successfully." 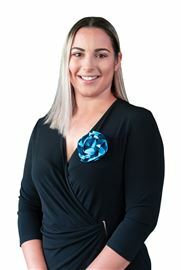 With a successful career in recruitment, retail management/sales and event organisation coupled with a history of providing clients with exceptional service, Annemarie is proud to be part of the winning Harcourts Paremata team consistently adding value with her honest, fresh perspective and “client first” philosophy. Here to listen to your needs and establish your home buying/selling goals and objectives, Annemarie believes that in this fast paced market communication is still key in meeting targets and building strong relationships. She is honest with her buyers and sellers and treats them as she would expect to be treated. She is passionate about the huge responsibility it is in finding and selling homes for families. As a long term resident of the northern suburbs, AM (as she likes to be called) possesses knowledge and understanding of the local market, its diverse neighbourhoods and the many services the community offers. You can be certain that AM will work hard to meet and exceed your expectations while keeping your best interests at heart whether you're buying your first home or selling your fifth. Throughout her career AM has consistently met/exceeded sales targets and believes the in the long term a strong work ethic and commitment to excellence coupled with a creative “think outside the box” attitude will ensure no detail is overlooked. So when you decide that you'd like to buy or sell - given the service you'll receive, the resources and large Harcourts referral network - why wouldn't you contact AM and find out how she can positively enhance your next real estate experience. Hi I’m Billy Watkins and I am proud to be part of the award winning team at Harcourts Paremata. Having lived in Pauatahanui for the past decade with my wife, daughter and mum, some of you may know me through my fundraising for local schools, or my activities as President of Mana Athletics. Born in Durban, and raised in Paekakariki and Wellington, I was schooled at Wellington College and studied Law, History and English at Victoria University. My business background includes being co-founder and manager of well known Wellington girl group The BeatGirls. The International success of the group includes appearances at the Sydney and Athens Olympic Games and numerous engagements throughout the USA, Europe and Australasia. I was nominated for the Ernst & Young Entrepreneur Awards in 2006 as well as Creative Gold at the Wellington business awards in 2005. As owner of Total Entertainment – a provider of entertainment solutions to private and corporate clients - I have ensured that the most important moments of my client’s lives are made memorable and are achieved without stress or complication. My approach was always on time and above expectation, and we achieved that goal whether the occasion was a wedding, birthday, major sports event, or corporate conferences and promotions. These people based skills are essential for the new, consultative approach to the real estate industry and with my Harcourts training you can be assured of being fully involved in the process of selling or buying your biggest asset, with direct access to the sale of your house available to you 24/7 on our Harcourts One network. I am tech savvy, with a background in marketing and client negotiation, and I am also well organized with excellent time-management skills. You can be certain of receiving the best advice on current market conditions, safe in the knowledge that with Harcourts your house will be marketed to the widest possible target market nationally and internationally! My philosophy : Why would you want to live anywhere else? The right home for your family, the best price for your house. 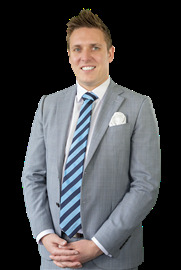 Gavin epitomises integrity, energy, hard work and creative service in every detail of your real estate transaction. He is without question a "people person” with an infectious personality and natural talent for clear communication. Having grown up in the Porirua suburbs, Gavin knows the area inside and out, and is passionate about why people would want to live in one of New Zealand’s best spots. From a young age Gavin was exposed to the expansive world of Property, which led him to pursue higher education, gaining a Bachelor of Business Studies majoring in Property Valuation and Marketing. Having started out on this real estate journey some years ago, Gavin has found his own niche when it comes to the interaction with his clients. Gaining a reputation for protecting his clients’ interests, savvy negotiations and cutting edge marketing strategies, his primary focus is to ensure all of his clients receive a fantastic experience and feel supported both during the time of buying or selling. Gavin has worked every aspect of the industry representing sellers, buyers, investors and banks, both in the residential and commercial market. This, combined with fantastic organisational skills and his ability to embrace technology, leaves his clients knowing that their property is in safe hands! Enjoying all that life has to offer when Gavin's not at work, he enjoys snowboarding, golf, fishing, motorbiking and a spot of travel. 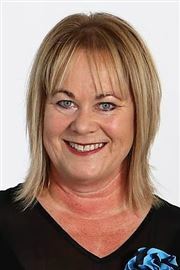 The diverse Porirua Basin with its abundance of sporting, cultural and recreational activities has been home to Jenny for more than thirty years. She knows it is a great place to live and work. With a strong work ethic and background involving all sorts from secretarial work in a solicitor’s office to teaching primary school, Jenny has been very involved in the community, fundraising activities and sports coaching. As a parent of three young adults and a member of a close extended family, Jenny understands people’s needs and has an empathy with all age groups. 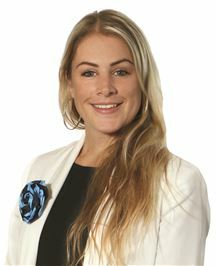 Jenny’s initiation into the real estate world was into a buoyant market in January 2004. Clients were quick to realise they had met a salesperson with integrity, someone they could trust. Jenny’s continued hard work, unwavering service and skill for excellent communication, both verbal and written has ensured that her success and business has continued to flourish and grow throughout the changing market. The recipient of many awards (local, national, regional & international) during her time in real estate, Jenny is proud to be the recipient of a National Client Experience Award and this is reflected in a large proportion of her business being repeat and referral. People matter to her, she loves the interaction, the fun and laughter and most of all the satisfaction of a job well done. In her role as a member of the nationally recognised award winning Paremata team she will work with you to ensure that the sale of your property is like Pauatahanui Inlet on a fine day, smooth sailing all the way! Jenny aims to ensure you feel confident when recommending her to your family and friends. Wise beyond his years and passionate about real estate, Micky Limmer exemplifies a new generation of real estate agent who is passionate and professional in their approach, personable in their style and committed to long term goals. Micky’s promise was apparent when he was selected as one of a select few to be enrolled in the New Zealand Real Estate Scholarship, and now with over 200 property transactions under his belt, he has proven himself as an incredibly capable real estate consultant. He offers the perfect partnership of technological nous and an overwhelming respect for his clients, and he will work tirelessly to achieve the best possible sale price which is crucial when selecting an agent to market one of, if not, your biggest assets. Micky understands that by providing exceptional standards of service and support that he is laying the foundations to a lifelong career, and building lifelong clients. Leanne is responsible for our administration, vendor marketing, client liaison & reporting. Having been employed with Harcourts for 20 years you can be assured that Leanne’s experience and unmatchable level of customer service is second to none. Also a Licensed Salesperson, Leanne runs weekend open homes. A Licensed Salesperson Paula assists with our buyers & vendors and is dedicated to providing outstanding service. Paula also looks after our marketing, sponsorship, website, social media & special events. Personal Assistant & Licensed Sales Consultant - Shona works alongside Andy Cooling ensuring the smooth running of the business. Watch the Sun Rise...and Set! Put Your Bargain Hat On! Room for the Extended Family!